Single Sentence Summary: A long-married couple face both personal and financial crises against the backdrop of New York City in a time of historic changes, including the 2008 collapse of the US economy and the Obama election. Primary Characters: Russell Calloway – the husband in this novel. He’s been a book editor for 25 years and now runs his own struggling publishing house. Russell loves what he does. 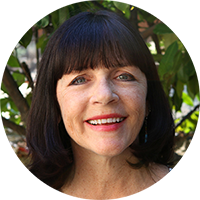 Corrine Calloway – Russell’s wife who helps run a nonprofit dedicated to feeding the hungry. Together they have twins, Jeremy and Storey, who are 11 as the story begins. Luke McGavock – a very wealthy man who Corrine had a brief affair with several years earlier. Review/Synopsis: Many of you know Jay McInerney from the wonderful books he has written, including his first, Bright Lights, Big City. 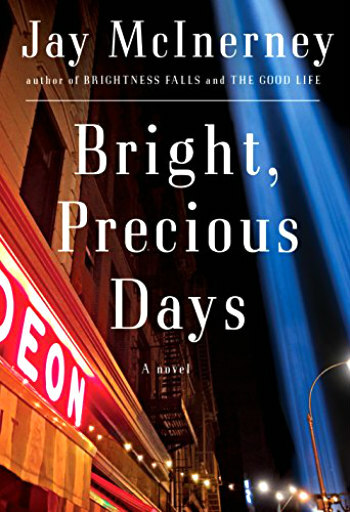 Like his fist novel, Bright, Precious Days is set in Manhattan, but this one in the Manhattan of 2006-2008. It follows the lives of Russell and Corrine Calloway whose stories began in two earlier books, Brightness Falls and The Good Life. Though the three books are sometimes referred to as a trilogy, make no mistake about it, each stands alone. There were many years between the publications of the three novels (1992, 2006, and 2016). The author explained in an interview on Goodreads why he chose to revisit the Calloways in a new phase of their lives and at a time of tremendous change in the city he loves. As the story begins readers are introduced to the Calloways, a couple that met in college and have been together ever since. They live what many would consider a very glamorous life: attending galas and gallery events, traveling to exotic destinations, taking months long summer vacations, but all is not a bright as it seems. Choosing a career in publishing has afforded Russell a life of esteem and distinction, but not a huge income. His wife, Corrine, left the financial world, and the income that went with it, to pursue her passion of feeding hungry people with good, fresh food. Though each loves what they do, their finances aren’t up to the level of their friends. At fifty, the two and their 11-year old twins are still renting a relatively small loft apartment that would be beyond their ability to buy. But, Russell and Corrine are very well liked and have a large circle of wealthy friends. A theme of infidelity runs through this book most prominently with Corrine. After volunteering in a soup kitchen following 9/11 she had a brief affair with Luke McGavock, another volunteer and a very wealthy man in his own right. When he shows up in her life again, Corrine is faced with desire on one side and contentment on the other. As Russell and Corrine face this crisis and others in their lives, the world around them is also changing as the election and economic collapse of 2008 approach.